One of the first coaches you see at the Royal Mews is the ﻿Irish State Coach﻿. Purchased by Queen Victoria in 1852, it was extensively damaged by a fire in 1911. 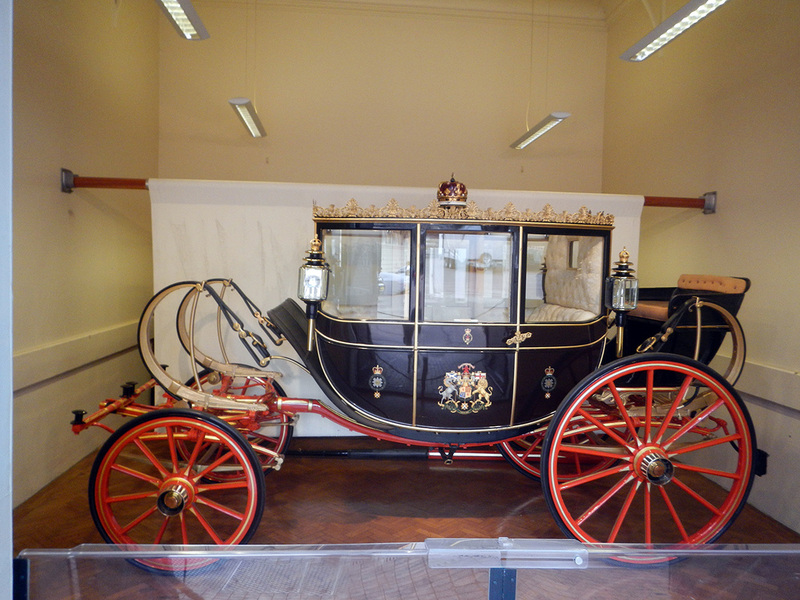 However, it was restored at the Royal Mews and returned to service in 1989. Drawn by four horses, it has been used by Queen Victoria, George VI and Queen Elizabeth II for the State Opening of Parliament. 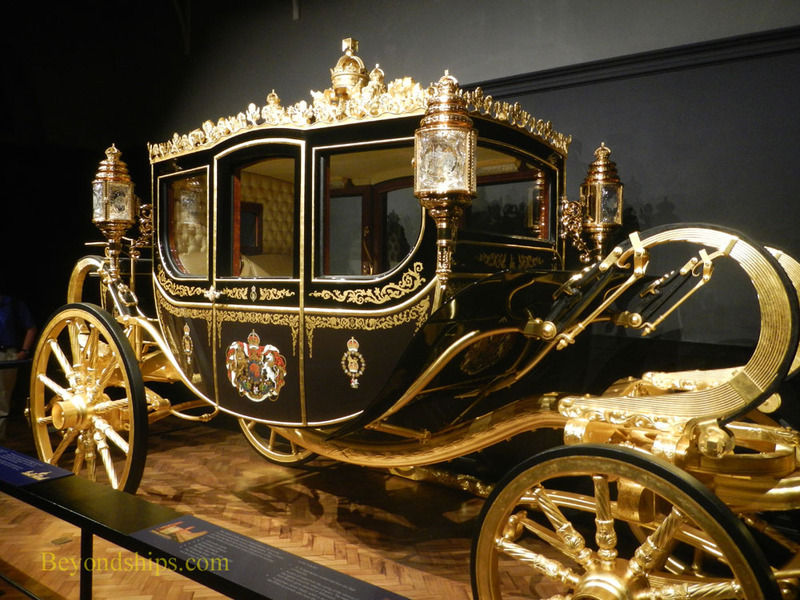 The ﻿Scottish State Coach﻿ was built in 1830 for Prince Adolphus, Duke of Cambridge, the 10th child of George III. It was later sold and remained out of the Royal Family's possession until 1920 when the owner gave it to Queen Mary, who was a grand-daughter of Prince Adolphus. The coach has been restored to its original state and was first used by the Queen in 1969 for the opening of the General Assembly of the Church of Scotland. 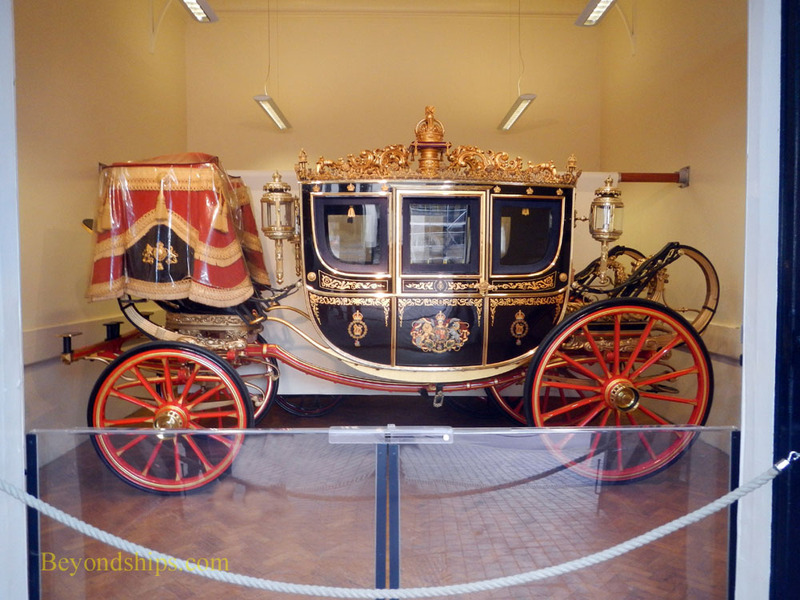 Newest of the coaches housed in the Royal Mews. The ﻿Diamond Jubilee State Coach﻿ was first used to take the Queen to the State Opening of Parliament in March 2014. It was built in Australia by W.J. Frecklington. The theme of the coach is 1,000 years of British history and it incorporates artifacts from Henry VIII's Mary Rose as well as wood from Admiral Lord Nelson's flagship HMS Victory. The highlight of a tour of the Mews is the ﻿Gold State Coach﻿. Completed in 1762, this coach has been used in the coronation of every monarch since George IV. The body of the coach is gilded and is covered by sculptures and paintings. It is impressively large, weighing some four tons. While the great coach succeeds in its mission of conveying an aura of power and wealth, apparently it is not a very good ride. Numerous kings and queens have complained of being bounced and jarred. Consequently, it is only used for the grandest of state occasions. The Gold State Coach is housed by itself in one of the stables. Life-size figures of eight Windsor Grey horses who pull the coach along with the four postilions who drive the coach, make for a vivid display. 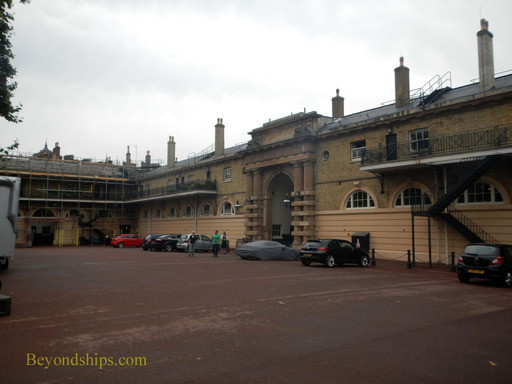 The Royal Mews is located on Buckingham Palace Road, not far from the Queen's Gallery. 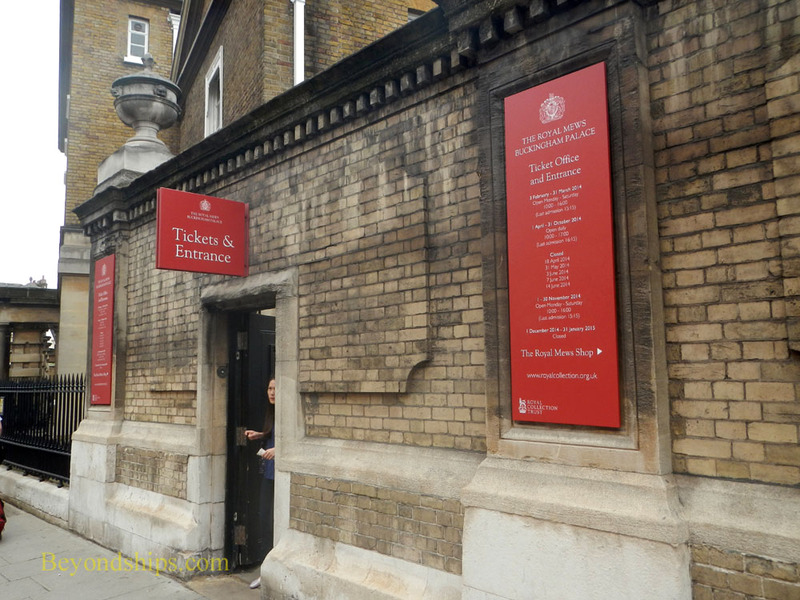 For more information, see the Royal Mews website.